Your home heating system is designed to provide you with worry-free performance for many decades. While your heating system may not need frequent heating repair services, routine central heating maintenance will help your system operate at peak efficiency. By keeping up on your home’s heating repairs, you can prevent a heating emergency down the road. A company offering heating repair in Murfreesboro can help you keep your heating in great shape throughout the seasons. To assist you with your heating repair needs, here is a look at some essential maintenance tips for your heating system. Your thermostat is one of the most vital parts of your home heating system. To keep your heating system in great repair, it is a good idea to check your thermostat on an annual basis. When you check your thermostat, make sure that it is set to a comfortable temperature. By setting your programmable thermostat, you can also help to cut back on your heating bills. Your heating system is equipped with filters that are designed to remove allergens, dust, and debris from your indoor air. When your heating system is operating on a daily basis, your filters can become quickly clogged. To maintain your heating system , it is a great idea to change your filters on a monthly basis. With fresh filters, your home heater will be able to operate at maximum efficiency throughout the coldest months of the year. A home heating professional will be able to perform all of the most important maintenance procedures for your heating system. In general, it is a good idea to set up a maintenance appointment on an annual basis. During your annual service, your technician will inspect your heating system for any signs of damage. With preventative maintenance, you can help your system last for many years to come. In order to keep your central heating system in great condition, you will need to replace your furnace filter on a regular basis. 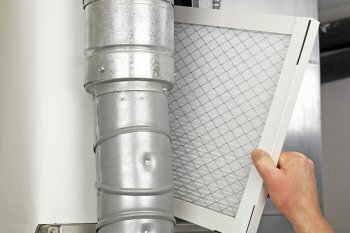 When you choose a high quality filter, you will need to set up a furnace filter replacement every 90 days. By contrast, regular filters may need to be replaced as often as 30 days. During your HVAC repair procedure, it is important to make sure that you use a furnace filter that is the proper size for your system. A heating repair company can repair and replace your furnace filter. When you schedule heating repair in Murfreesboro , be sure to ask about all of their furnace services. To take a closer look at the essentials of heating repair, watch this video from eHow. When your heating system fails, it is important to find a highly reputable contractor to perform your heating repairs. With service from a fully licensed and qualified HVAC contractor, you can rest assured that your central heating system will be restored to the highest level of performance. A company providing heating repair in Murfreesboro is sure to provide your home with the highest quality heating repair services. By doing your research and taking the time to find the best heating repair contractor in your area, you can rest assured that your heating system will be serviced with the best techniques and tools. Here is a look at some essential tips for hiring a heating repair contractor. In order to ensure that you are hiring a quality heating repair contractor , it is a great idea to check references and reviews. A reputable heating repair will have positive reviews from your local community. By working with a company that has a great reputation, you can rest assured that you will be provided with the best available services. As you are hiring a heating repair contractor, it is important to do your research about the necessary licenses and qualifications for your area. A quality heating repair contractor will be fully licensed and insured. These qualifications demonstrate a commitment to excellent service and customer satisfaction. Insurance will also protect you in the event of a heating repair emergency. If a company offers a warranty or guarantee program, this is a great sign that they will provide you with great service. When a company is willing to back up its work with a written warranty, you can rest assured that you will be totally satisfied with your heating repairs. Once you have found a company that meets all of your requirements, you will be ready to set up a heating repair appointment.